Famed for his big, scary teeth, Alan sneaks into the jungle every day to scare the jungle animals ... But after a long day of scaring, Alan likes nothing better than to run a warm mud bath and take out his false teeth, which nobody knows about! That is, until his teeth go missing. What will Alan do now? Scaring is the only thing he knows how to do! Can he still be scary without them? A goofy comedy of self-discovery, witty, warm-hearted storytelling and bright graphic art will make this (and Alan!) a firm children’s book favourite. 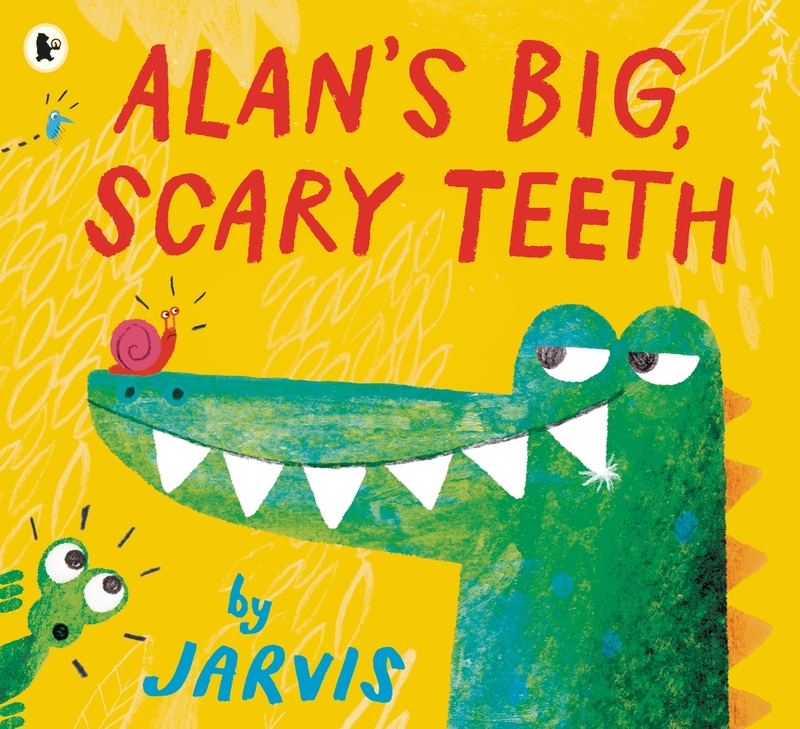 Alan's Big Scary Teeth is written and illustrated by a brilliant designer called Jarvis, and this is his first picture book with Walker Books! Jarvis studied graphic design and previously worked as both a record sleeve designer and an animation director before becoming a children's book illustrator. Jarvis says, "The way I work is always visual. I will have an image or character in mind and I pull a story out of it. I doodle and doodle and doodle until I get it right." Jarvis lives in Manchester with his girlfriend and their cat. To enter, just send your answer, along with your name and address to competitions@walker.co.uk by 29/02/16. Terms and conditions apply. Join in the fun and download these free activity sheets. 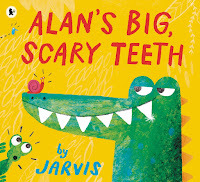 Find a copy of Alan's Big Scary Teeth at your local bookshop.